Place the cornflour and half the water in a small saucepan and mix into a paste, using a whisk. Place the remaining water and the raspberries in a blender and blend until smooth. Strain through a sieve (to remove seeds) into the pan with the paste. Place the pan over medium heat, add the honey and whisk to combine. Bring to the boil, reduce the heat to low and simmer for 5 minutes or until thick. 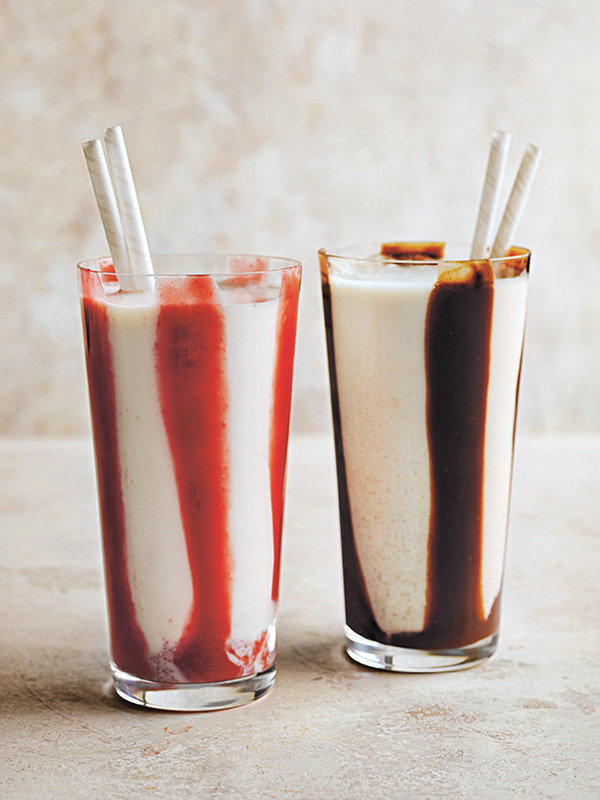 If you’re only making a few milkshakes, keep the leftover syrup in an airtight container in the fridge for up to 1 week.